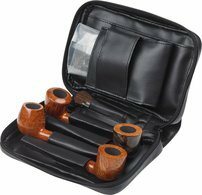 Pipe cases come in many different sizes. 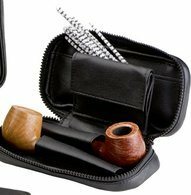 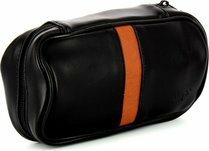 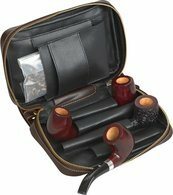 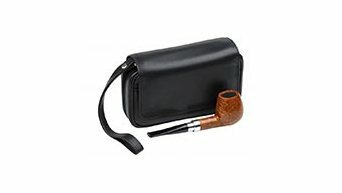 They are made for varying numbers of pipes (there is a pipe bag for 2 pipes but also for more), and in a wide range of materials, such as leather pipe bag. 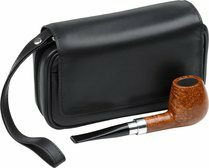 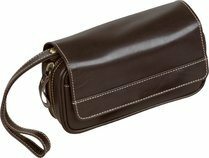 A pipe pouch is usually made for just one pipe, with extra space for pipe accessories, such as pipe tampers, pipe cleaners and pipe filters.